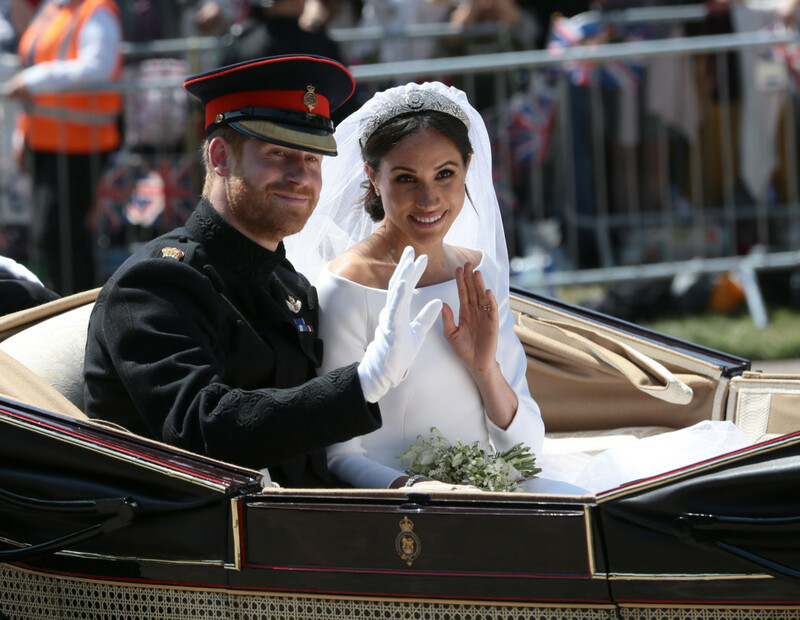 Meghan Markle walked down the aisle in a tiara loaned to her by the Queen, and elegant diamond pieces by Cartier. 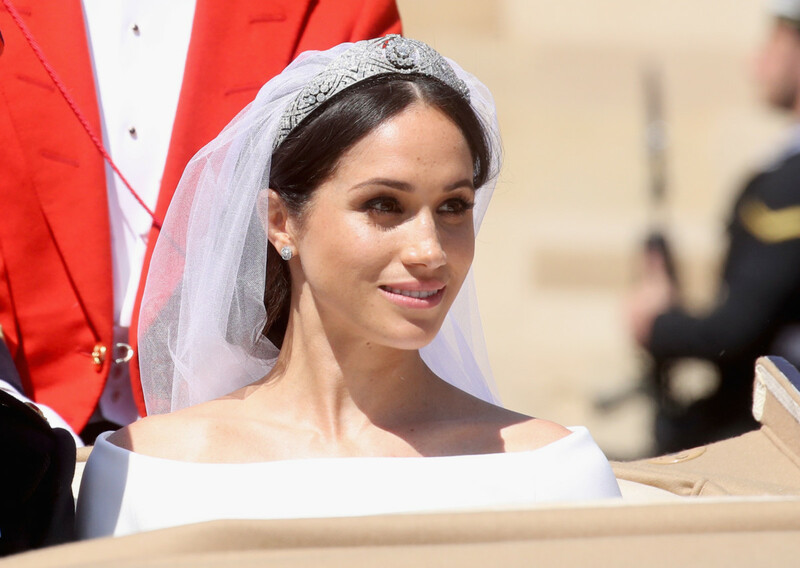 While the jewellery was kept simple, yet striking, Meghan Markle followed in Kate Middleton’s footsteps and held her veil in place with a tiara from Her Majesty the Queen’s jewellery vault. The Queen Mary Diamond Bandeau is named after the wife of King George V, the Queen’s grandfather. The diamond bandeau is English and was made in 1932, with the centre brooch dating from 1893. Crafted in platinum, the bandeau is formed as a flexible band of eleven sections, pierced with interlaced ovals and pavé set with large and small brilliant diamonds. The centre is adorned with a detachable brooch of 10 brilliant diamonds. Bride wears tiara from the Queen’s vault and Cartier earrings. When it comes to jewellery, the royal bride wore a white gold bracelet and stud earring made by Cartier. 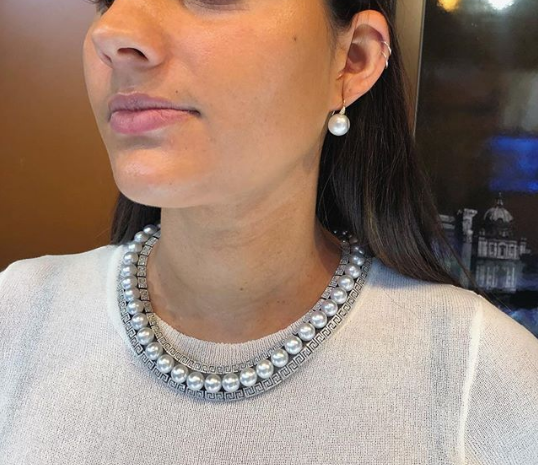 The diamond earrings are from the luxury brand’s Galenterie de Cartier collection, and the diamond bracelet forms part of the Reflection de Cartier range. For the wedding bands, Meghan Markle stuck with her favourite metal – yellow gold. 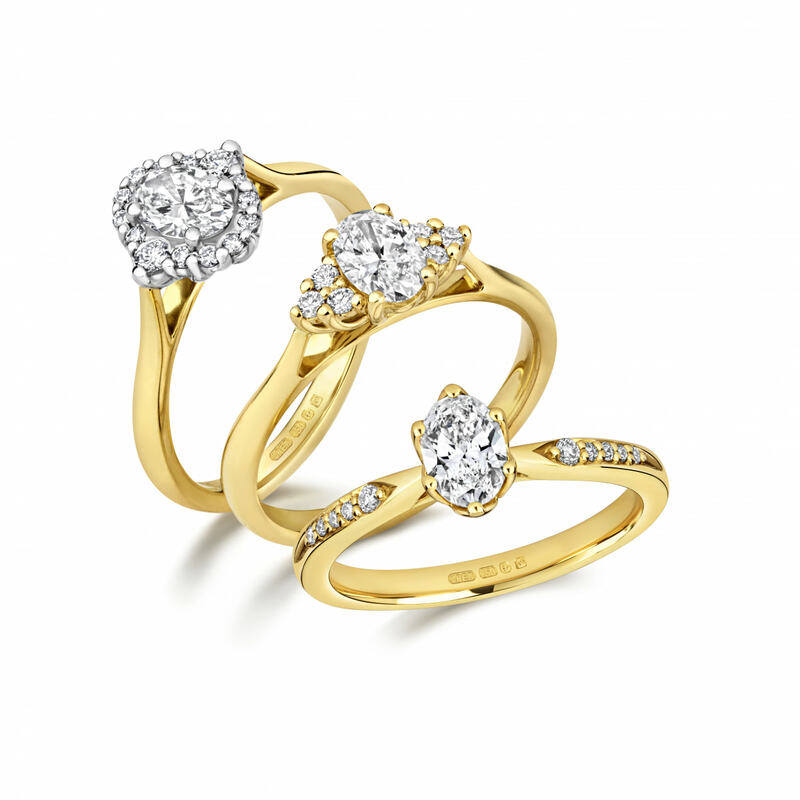 The ring, crafted by Cleave & Company – the British jeweller which created her bespoke, three-stone engagement ring – features a piece of Welsh gold, gifted by the Queen. Meghan Markle opts for a yellow gold wedding ring crafted with Welsh gold. 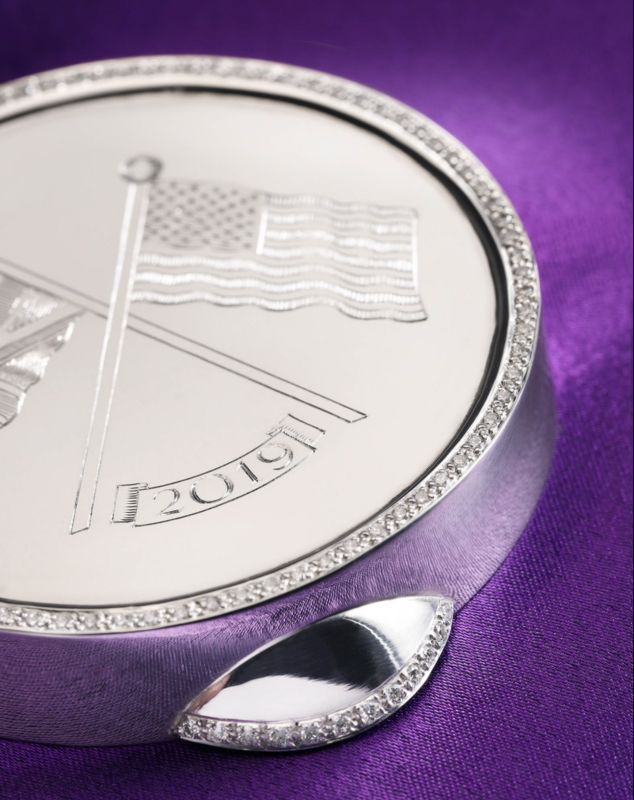 While it was speculated the groom would also have a ring adorned with Welsh Gold, Prince Harry actually choose a platinum band with a textured finish, also made in the Cleave & Company workshop. It has been reported that the groom, who has now been given the title Duke of Sussex, will wear his wedding ring, unlike the Duke of Cambridge and the Duke of York.